The end of 2016 saw me reading a lot of shorter fantasy stories, novellas, really. Which was fun, and allowed me to actually finish some of the books that had been piling up on my TBR (to be read) stack. 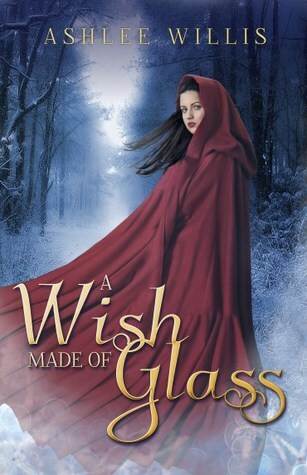 As an added bonus, all of them were also extremely enjoyable, and A Wish Made of Glass by Ashlee Willis was no exception. Lovely review! <3 I've had this on my tbr-list ever since I read The Word Changers. And I loved that book a lot! So glad you liked it! I can't wait to read for myself. I liked this quite a bit more than The Word Changers. Lovely review, Jenelle! And I agree, that cover is BEAUTIFUL!